Addressing a public rally in Balrampur, Adityanath said people should focus on the party symbol "lotus" and not see the candidates the party had fielded. 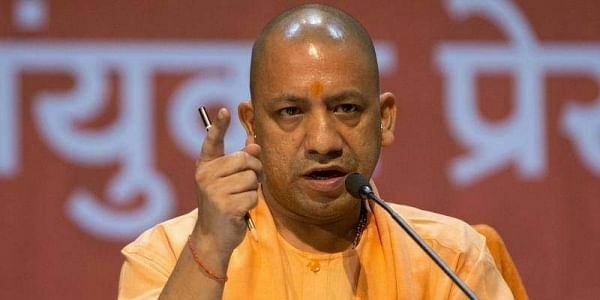 LUCKNOW: Uttar Pradesh Chief Minister Yogi Adityanath on Monday urged people to vote for the Bharatiya Janata Party (BJP) in the ongoing urban body polls and not to focus on the candidates. "We are committed to development of the entire state and will light up Uttar Pradesh towns and cities as we did in Ayodhya on Diwali-eve," he said while also promising 14 lakh jobs for the unemployed youth in the coming days. The previous Bahujan Samaj Party (BSP) and Samajwadi Party (SP) governments and their leaders worked only for their own prosperity and development and did not focus on the people, he alleged. He also said that the state government was committed to the welfare of farmers and doubling their income by 2022, as declared by Prime Minister Narendra Modi. Adityanath also detailed the works undertaken by his government in the past seven months in the field of power and said very soon the result of the projects and schemes initiated would start showing results.